Forts were built along the Ocmulgee for protection against the Indians. Blockhouse Baptist Church is on the site of old Fort Clark, most likely named for Gov. John Clark, who had a plantation adjacent to the site of the fort. Blockhouse Church got its name because people refuged in the fort would use one of the two blockhouses of the fort for worship. 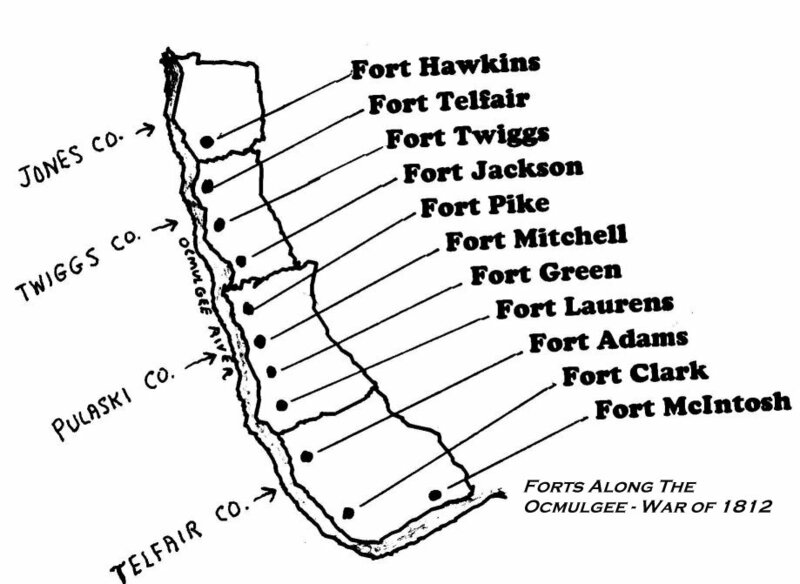 These forts, including Ft. Clark, were built by General David Blackshear. To see a picture of Gen. Blackshear, click "NEXT" below.